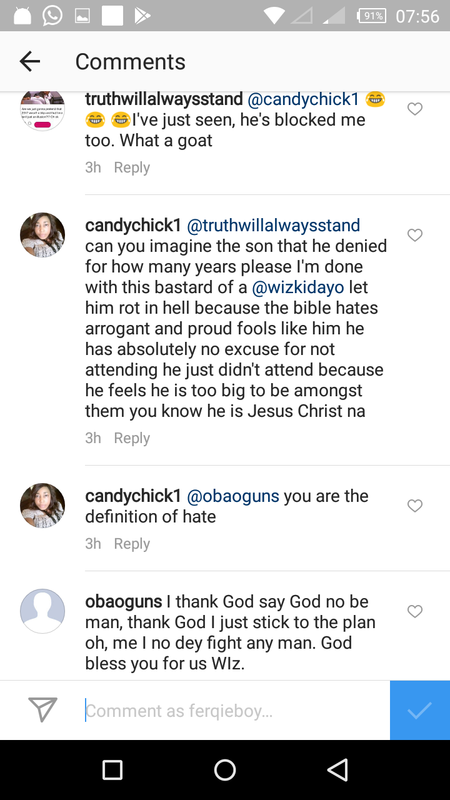 Sometimes I wonder if it is an obligation to be spiteful or to just be totally ungrateful. 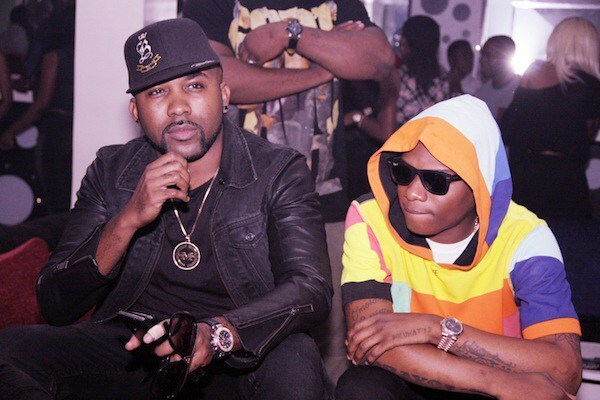 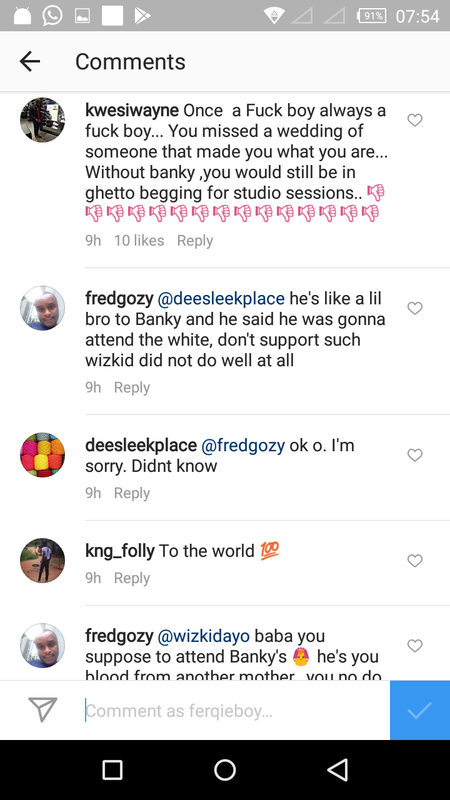 I always have admiration for Wizkid but his behaviors towards Banky W, whom I think is his godfather as far as music in concerned is disheartening. 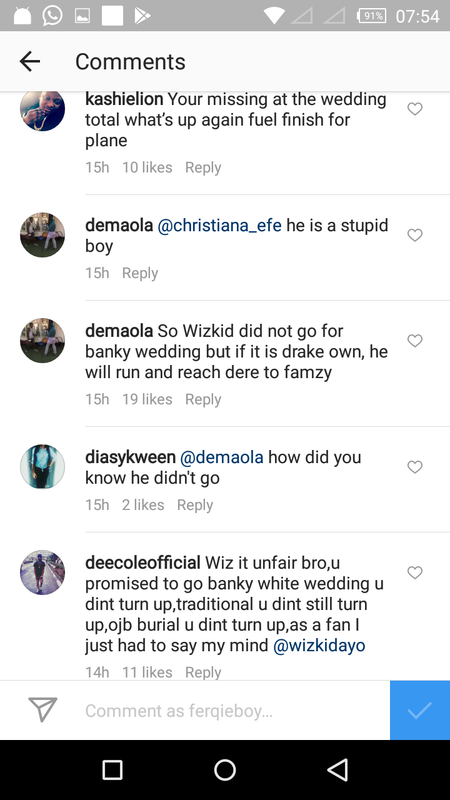 He didn't attend both the traditional and white wedding of Banky W and his lovely wife Adesua Etomi. 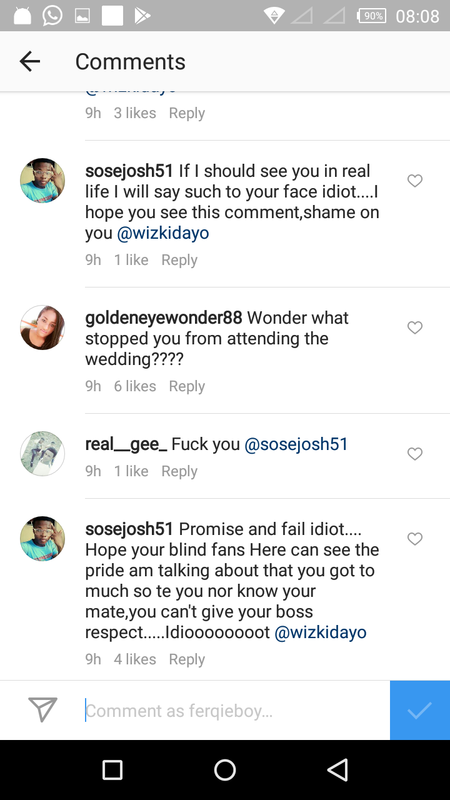 Its really appalling to even think about it even though am eagerly waiting to hear what could have cause him to behave in such a manner. 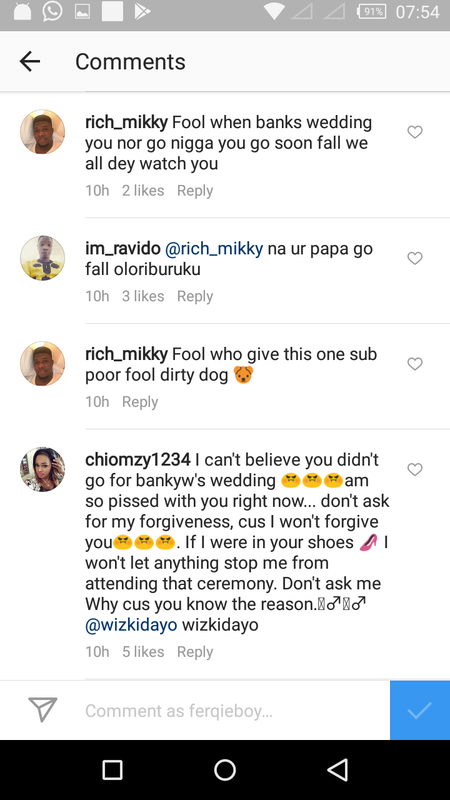 He apologized for not attending Banky's traditional wedding, sitting unforeseen circumstances but promised to attend the white wedding, but he didn't. 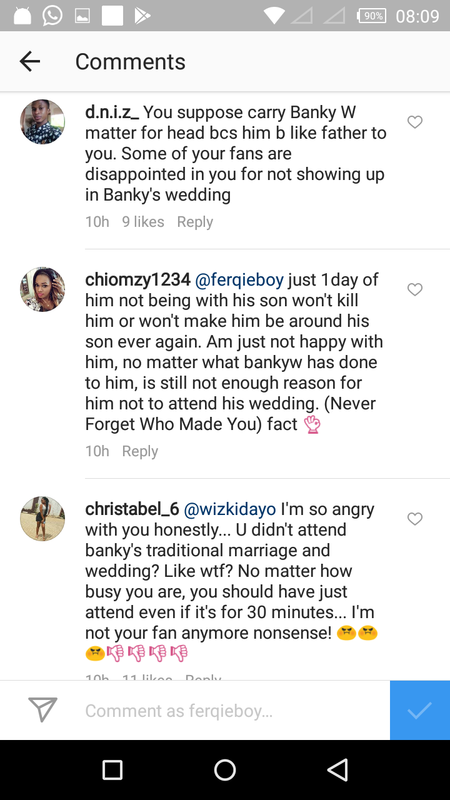 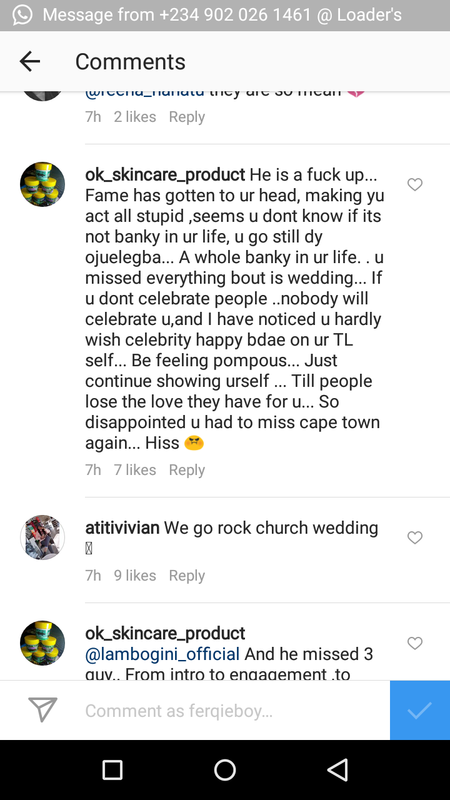 Fans are now so mad that he also didn't attend Banky's white wedding held in South African and rather opted to hang out with his son, wizkid jr. Everybody is wondering why this is the case. 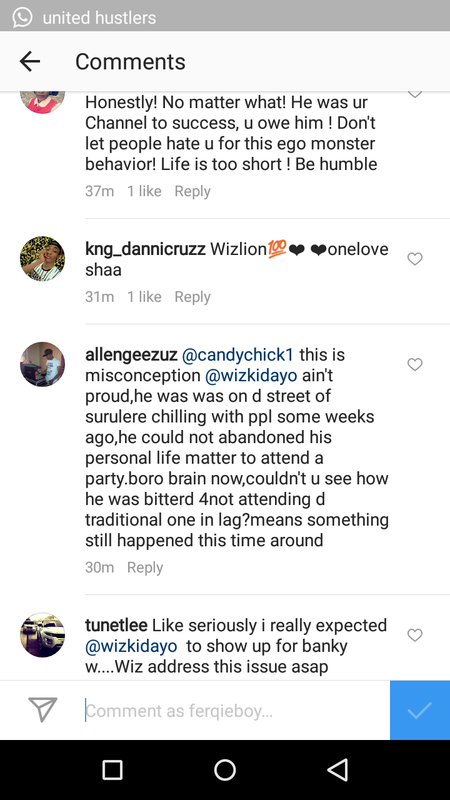 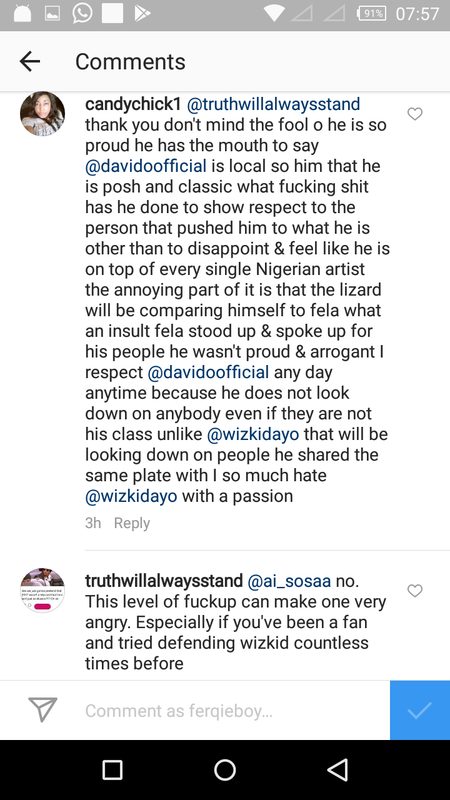 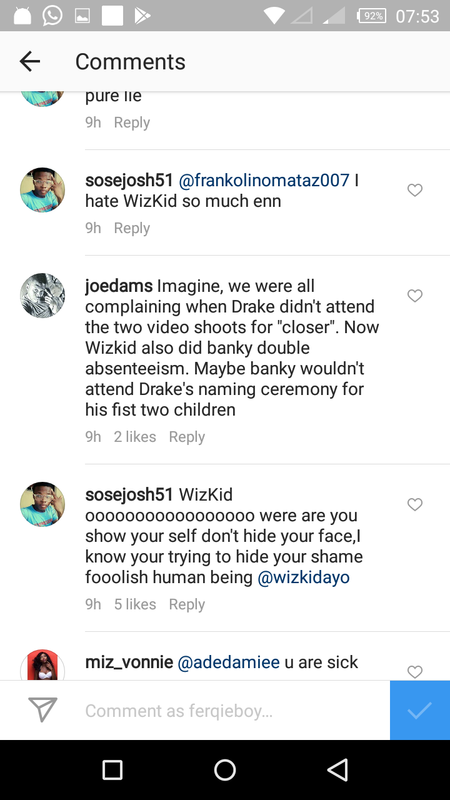 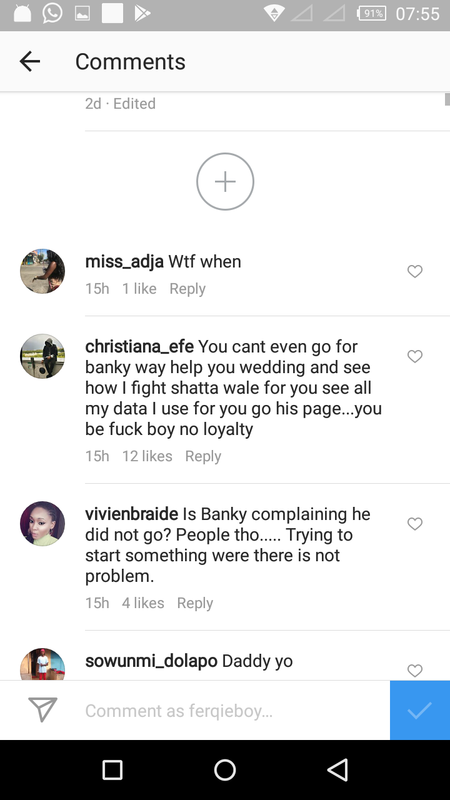 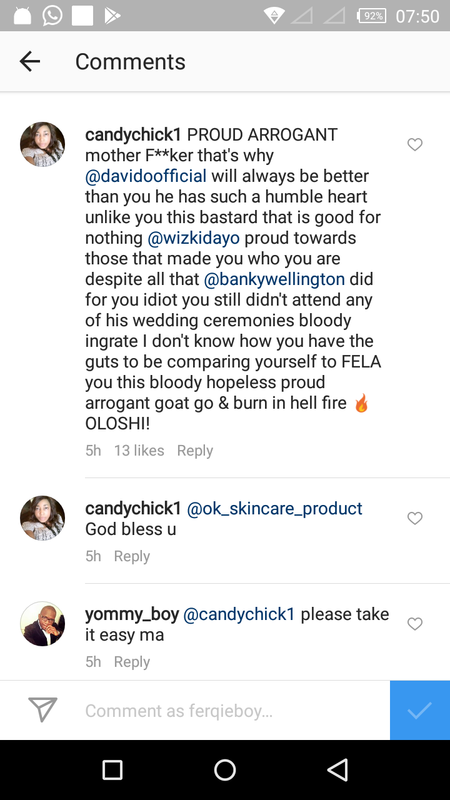 Furious fans has now trolled to Wizkid's Instagram page to vent their disappointment and anger over what they perceived to be a pattern.